Please use the following aids for a better decision and implementation. Your purpose of graduate study. Discipline you wish to specialize in. Future application of knowledge gained after graduation. Find out details about all the programs. Select one that matches your interests, goals, capabilities and qualifications. Refer the aims and contents of each program. Learn more about program, university and other practical information (such as expenses, housing , campus life etc). In case you require a visa to stay and study in Germany, then get detailed information from the German Embassy or Consulate about the possibilities of obtaining the visa. For most cases, the student should ensure financial means to support his/her living in Germany. Keep a tab on information related to visa processing. For some countries, this procedure is slow and can take several months. Several candidates were recommended to enroll to the program, but were unable to get the visa in time. Because of above mentioned and other practicals reasons, start the application process at the earliest. Do not wait till the application deadline. Prepare all the required documentation needed for application. Complete the application procedure correctly. Be patient and wait till you get a response from admissions office. Admissions office gets a lot of applications every year. Hence, it might take some time for them to announce the results or send the official acceptance letter. 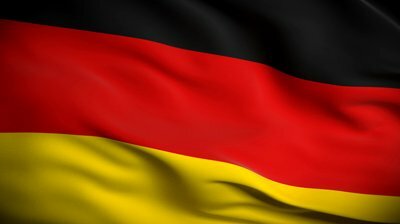 Apply for a study and residental permit in the German Embassy in your home country at the earliest. Is it mandatory to write motivation letter for master’s degree in Germany even when it is not stated among the entry requirements? Aoa. Embassy Walon Ne objection lagaya hai birth certificate normal Indraj Neha who but Mera toh normal Indraj Hua Hai..? ?